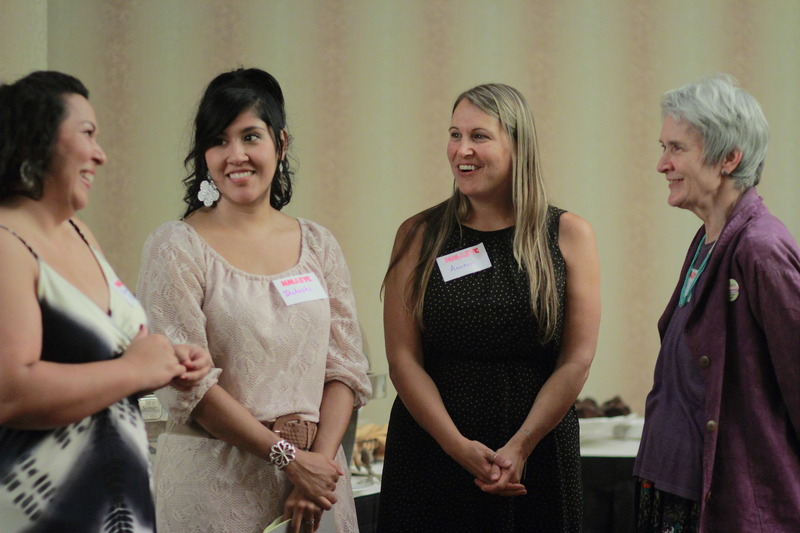 Networking: You’ll have opportunities to network with teachers and other education professionals in your area and across New Mexico at local and state affiliate conferences, professional development events and other networking opportunities, or when you join an NAEYC Interest Forum. Help improve early childhood education: As a member you can participate in education, advocacy, and public awareness activities that help to increase understanding and support for high-quality, early childhood education among policy makers and the public. Become a leading voice for early childhood education in your community or at the NM state legislature. Discounts on conferences: Get reduced rates for conferences and other professional development opportunities, including NMAEYC’s Annual Early Childhood Education Conference in Albuquerque. You can also participate in NAEYC’s Annual Conference (the world’s largest early childhood education conference) at a discount. Discounts on books and publications: NAEYC is the premier publisher of research-based books and multimedia for early childhood educators who work with children of different ages and in a variety of settings. All members save 20% on all products in the NAEYC catalog and online store. Collaboration: Develop tailored workshops for your program staff, attend family events hosted by your local affiliate or chapter, and connect with other education agencies and resources. Great content: Receive the latest research-based ideas to inspire and inform your work with young children. Get the award-winning magazine Teaching Young Children and stay abreast of important topics and theories in ECE with the peer-reviewed journal Young Children. Join NMAEYC and make a difference in the lives of children and families in New Mexico. With your membership you become a member of the National Association for the Education of Young Children (NAEYC), the New Mexico Association for the Education of Young Children (NMAEYC), and a chapter or a local affiliate of NMAEYC. Through each of these associations you gain access to information, the latest research, materials, and valuable networks of professionals in your field. NMAEYC offers special discounts for our Annual Early Childhood Education Conference and special events for our members. Our members are also kept up-to-date on the latest early childhood education news & updates, especially during the legislative session. Entry Level Membership – Great for students or other early childhood professionals joining for the first time! $30/year. Standard Membership – Most popular membership option with great benefits included! $69/year. Premium Membership – Maximum benefits included for professionals who are committed to staying up-to-date with resources and best practices. $150/year. Family Membership – Designed for members outside of the early learning profession, such as parents, other family members, and early childhood advocates. $35/year. Please see NAEYC membership options page for a full list of benefits for each type of membership. Step 1: Pick your membership type. Submit your personal and payment information by clicking the link below. Your membership will immediately become active. You will receive your ID Card within 3-4 weeks by mail.